Can Global warming really ground planes? On the 20th of June 2017, American Airlines cancelled more than 50 flights to and out of the Sky Harbor International Airport in Phoenix, Arizona. The primary reason for this cancellation was that the temperature of the region was too high for planes to fly. Dr. Marshall Shepherd, an internationally known weather expert and the host of Weather Geeks, wrote a post on Forbes explaining the phenomenon behind flight cancellations and high temperatures, which was then tweeted by Elon Musk, where it went viral. To summarize Dr. Shepherd's article and explain why flights were cancelled, we first need to understand the principle of flight in an aeroplane. The wing of the aeroplane is designed to create a difference in the momentum in the air ahead of the wing as it passes over it to create lift. Faster the change in the momentum greater is the lift created, which allows the plane to take off. As the temperature of the surroundings (at the runway) increases, pressure of the air under the wing decreases. This means that the aeroplane now needs to change the momentum of the air much faster than earlier to create the necessary lift or reduce its gross weight to achieve the same lift in the same distance. While this is possible in some scenarios, in certain others, it is not and that is exactly what happened to the American Airlines flights, which were all being operated using the same kind of aircraft, the Bombardier CRJ. An aviation enthusiast myself, I dug a little deeper to know what was so unique to these CRJ aircrafts that made them incapable of flying as claimed by this tweet from Verge. Well, it is not that planes cannot fly at higher temperatures. 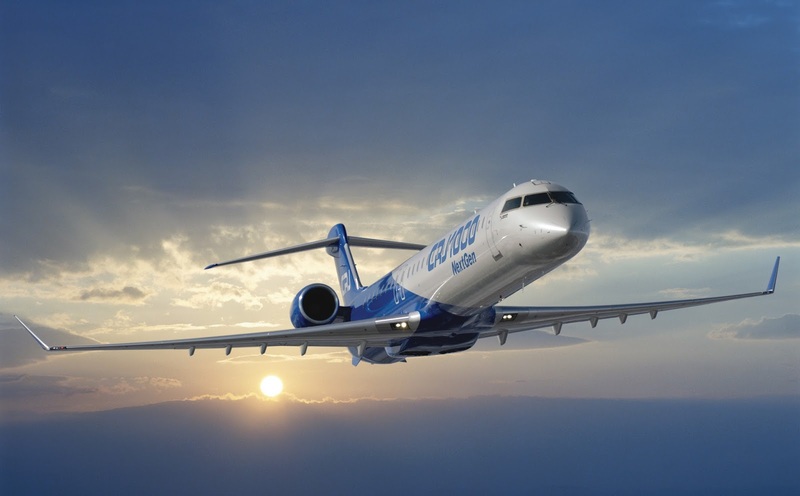 The Bombardier CRJ, manufactured in Canada, is basically a small plane aimed to be used for short distance flights and has operational performance records for temperatures only up to ISA + 15 degrees celsius i.e. 48 degree Celsius or 118 degree Fahrenheit, temperature of Arizona on the day. The reason it was grounded is purely because of safety concerns since the manufacturer had not tested the aircraft in higher temperatures and is unlikely to do so, because it is no longer in production. On the other hand, other commercial aircraft makers such as Airbus, Boeing have higher limits to their performance testing and have performance data for temperatures up to 53 degrees Celsius and were not affected by the temperature at the airport. This is also evident from flight operations in the Middle East, the hub of famous airlines like Emirates, Etihad, Qatar, Gulf Air etc. which are busy during the nights and deserted in the afternoons to avoid such cancellations due to high temperatures. It is likely that given the increasing temperatures in cities around the globe, such cancellations will become more rampant in the coming years. This is not the first incident of flight cancellations in Phoenix. In 2013, 18 US Airways flights were cancelled due to higher temperatures and the trend in Phoenix is to to break its own highest temperature record every year. So, we can expect Phoenix to announce more cancellations next year, the year after and so on, till we just accept it to be the new normal. But why should I single out Phoenix for this. All major cities in the world have recorded temperatures in the higher 40 degrees in the past few years and with rising global temperatures, they will soon reach the upper limits for flight operations in their respective zones and announce such cancellations during summers. Of course, the human civilization is not going to take this lying down. We will do everything we can to ensure that we continue flying as per our convenience. So, this would be mean a lot of research will go into funding research (more jobs created, hurray!) for discovering new materials to build aircraft that can withstand extreme temperatures, research into building more powerful engines that can create the necessary lifts faster and even better fuels that can generate more power out of the engines. It would also mean that we would probably work out a few compromises such as travelling earlier or later in the day or expanding the runways of our airports in the name of development and expansion or reducing the carrying capacity of the current flights and increasing airfares for the common man. But that is very little sacrifice that we will readily make to ensure that the rich and powerful decision makers of the world can go about denying climate change and any of its many effects on the planet, back out of promises that countries have made and raze forests to build power plants! Edit: Changes made to how lift is created by an aeroplane after feedback from Subbarao Raikar, an ardent reader and patreon of our blog.